Ayurveda is a plant-based healing system. It have healing qualities beneficial for hair. It is made of high quality natural essential oils and Ayurvedic herbs. 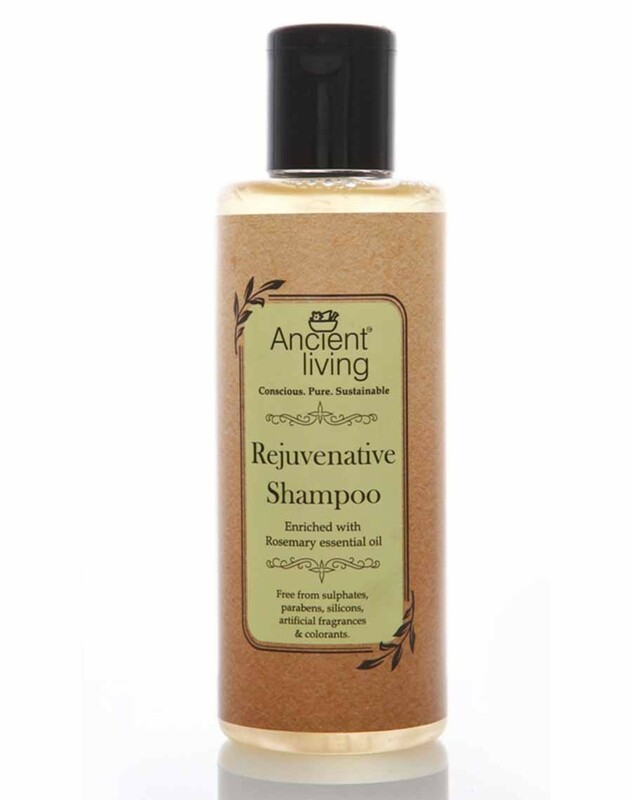 Ancient Living Rejuvenative shampoo is made of high quality natural essential oils and Ayurvedic herbs which have healing qualities beneficial for hair. Ayurveda is a plant-based healing system developed by the great seers in Vedic ages who realised that every plant has immense potential to help human beings. Ancient Living brings to you the secrets of Ayurveda in a convenient and ready to use form. Ancient Living Rejuvenative Shampoo is made with a pure and gentle coconut base enriched with Rosemary, Lemon and Jojoba. Ayurveda describes coconut as Mahamedhya, great nourisher for the mind. Mild and non-drying base ensure softness. Jojoba is a natural fungicide with high iodine content. Rosemary stimulates hair growth by energising the hair follicles. Lemon is a natural astringent. Aloe vera softens and moisturises the hair. This nature based shampoo leaves your hair feeling clean, soft and fragrant. Respects the natural PH balance of the scalp. As there are no added foam boosters you may experience less lather but a deeper cleansing effect. Against animal testing.